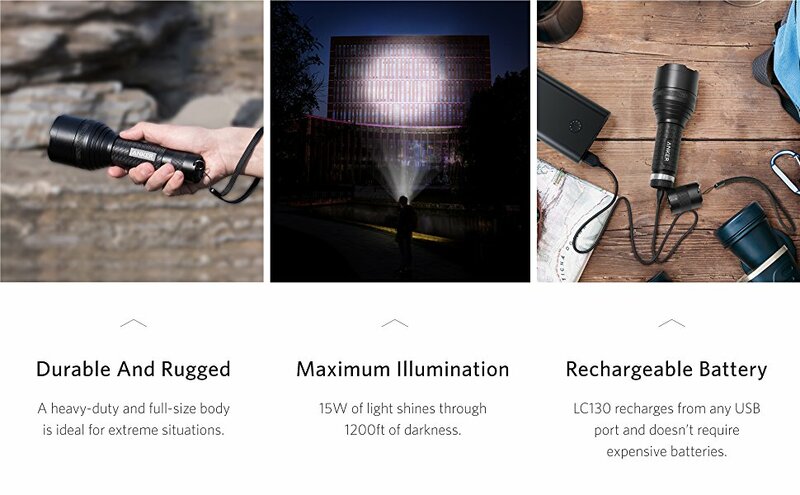 Harnesses the combined power of 3 genuine high-performance, high-efficiency Cree LED XP-G2 chips (50000-hour lifespan) for stunning brightness and excellent battery life. 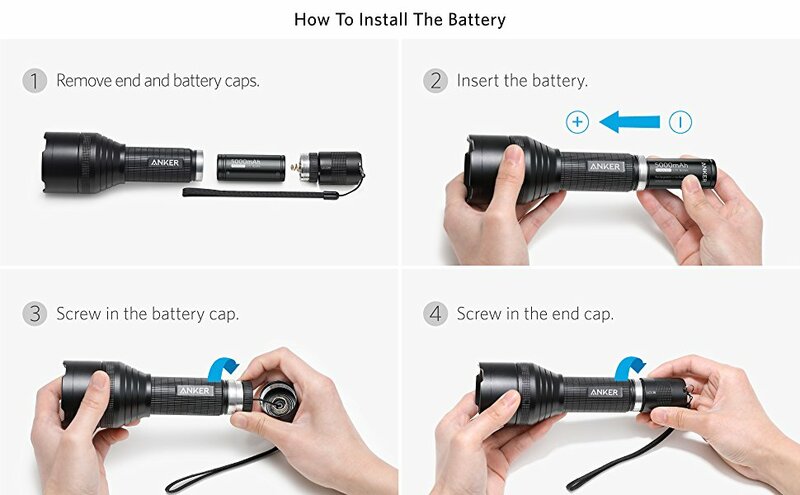 The included high-performance, high-capacity (5000mAh) premium lithium-ion battery can be recharged in the flashlight using the supplied USB cable. No need for a separate battery charger. It's space-saving, simple, and safe. 1. Do not look directly at the light (may cause temporary blindness).